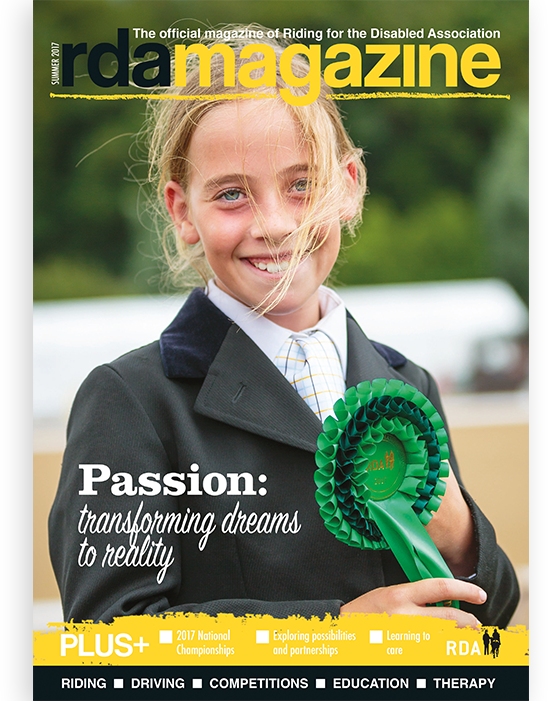 Packed with news, articles and stories about all areas of RDA life, our free quarterly magazine will keep you inspired and up to date about your favourite charity. 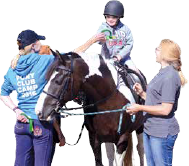 RDA Magazine is a great way to hear about all the ways we are supporting our participants and volunteers – and how we are encouraging more people to take part. 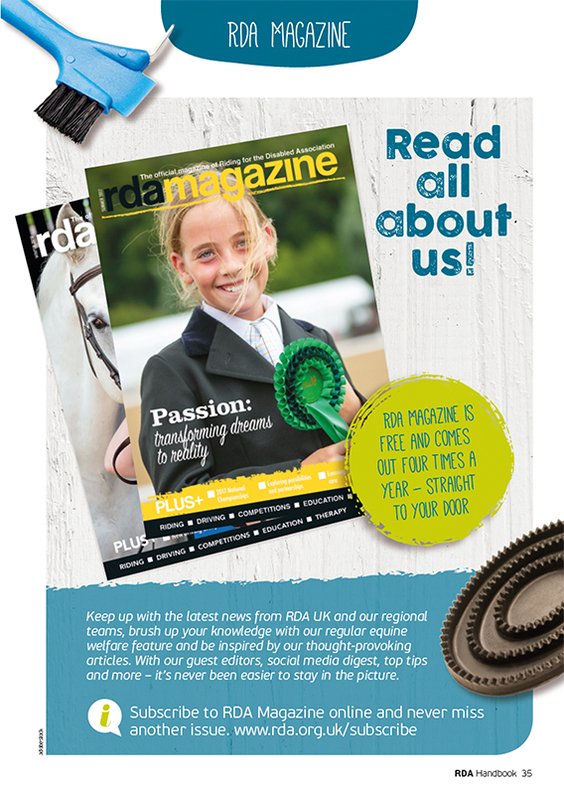 With news from our groups all over the UK, RDA Magazine is great for spreading ideas and ensuring you’re getting the most from your time with us. Why not take a look at our latest issue and subscribe today to never miss out again. We would like to keep you up to date with information about opportunities and events within RDA. Please tick here, if you wish to receive this information. Advertise in RDA Magazine and get your message to an engaged community of over 3,000 readers. And you’ll be helping to support our great work too. 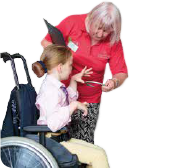 Contact Catherine Baldock on cbaldock@rda.org.uk for a media pack and price list.